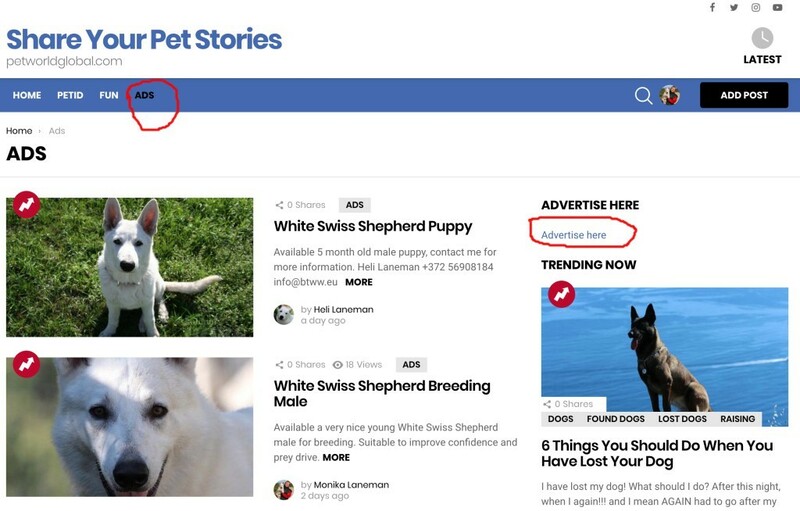 Thank You for considering to advertise in https://petworldglobal.com which is our buzzfeed page for dog and cat owners. And where people can add their own stories about their dogs and cats both fun and educational free of charge. https://petworldglobal.com has at the moment 4 options how you coud advertise your products and services. First option which is totally free is educational articles. We do not charge for educational articles as we believe it helps the world and you should get the credit of the articles you have written. It is the same as sharing stories about your life or funny things you like. In case needed we will collect those under specific categories, so you don't need to worry if there no category exists yet. Second option to advertise with us is adding one time ads. 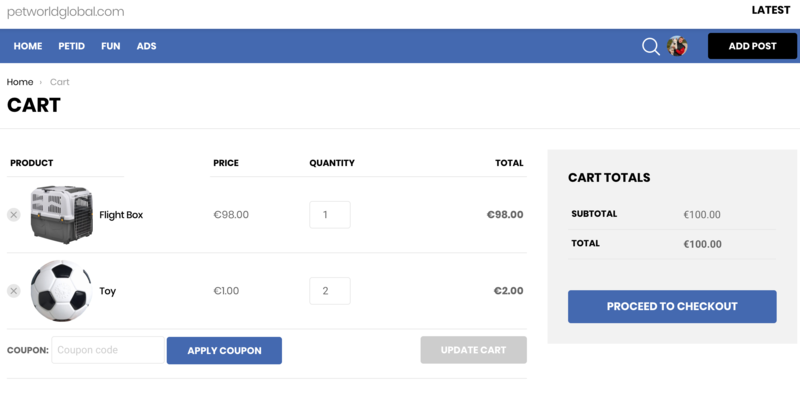 You can add one time advertisement which appear in the right side of the page and can be accessed through the menu link Ads up of the page. This is usually a place private people advertise or is placed one time advertisements. Like puppies for sale or some dog product for sale. Or if you offer some services and want to have one time advertisement. Third option to advertise with us is to to order a banner. We are building a specific shop for pet owners that every person on our page can add products for sale. A bit similar like Amazon but we are doing it specifically for people who are in pet business and have high quality pet products for sale.